A review of my favourite little artsy dive bar in North London. Come discover Jam in a Jar. The ‘Jam’ in this bar’s name doesn’t refer to the preserve, or to the local traffic, but is used in the impromptu musical freak-out sense. Harringay’s Jam in a Jar marks a sea change for the particular stretch of Green Lanes known as Grand Parade. It forms a hat-trick alongside impressive refurbished Victorian boozer the Salisbury down the road and yummy mummy café Blend next door. ‘Qwerty’, stamped in higgledy-piggledy typewritten characters constitutes the bar’s main signage and reflects its laidback leanings. The intimate interior has exposed brick and bare wooden floorboards, with a couple of dark leather sofas and armchairs, art for sale on the walls and a giant old transistor radio and some bongos by way of ornament. Jam’s drink selection is equally small but well formed. There are four or so cocktails (margaritas, mojitos), Kozel, Estrella and Pilsner Urquell on tap, two red wines, two whites, one rosé, and seven or so ciders and bottled beers. Brunch, dinner and snacks are covered by the food menu, whose high point is the Jam in a Jar Special: an epic stacked burger, with pineapple, bacon and a fried egg thrown in for luck, only to be ordered by the ravenous or particularly fulsome of stomach. Yet, as the bar’s name suggests, what makes Jam exciting is not its refreshments but its embrace of local arts and music: revolving musicians play really rather good blues, jazz, garage rock and whatever else suits their mood on weekend nights, drawing artsy, beard-heavy crowds so large they spill on to the pavement. Get there before 7pm on a Saturday if you want a table inside: later on it really is like being jammed into a jar, albeit one full of nice tunes and booze. This month’s issue includes my round up of the best and buzziest hotels in Dubai right now, from the new Anantara Dubai The Palm, on stilts over the sea, to Barjeel Heritage, a recreated traditional Emirati guesthouse. 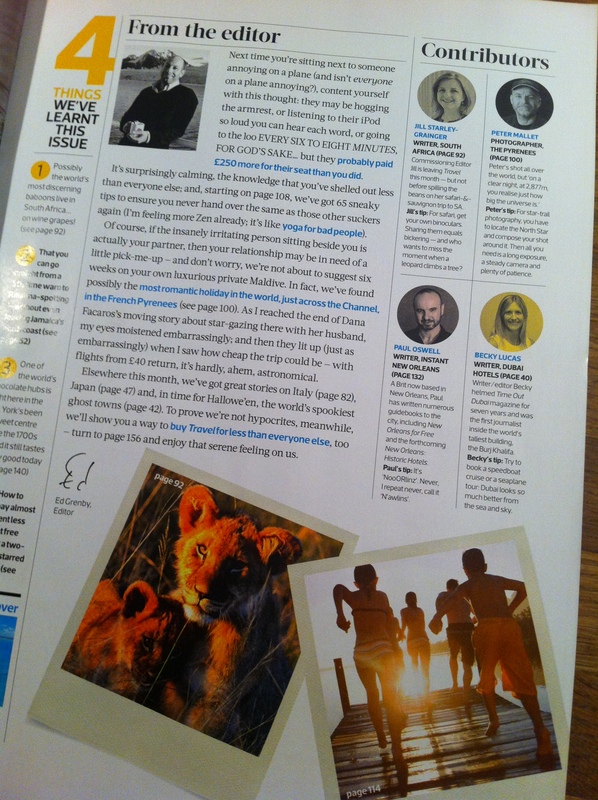 You’ll also spot my mug on the Contributors page. 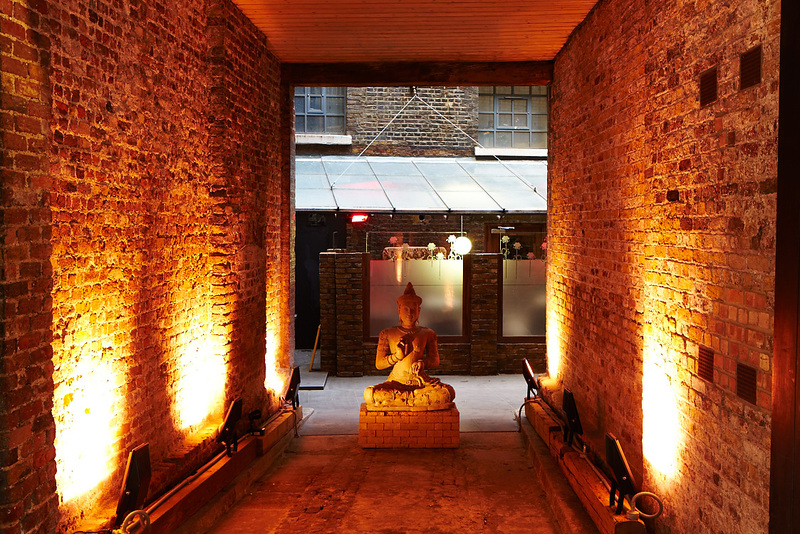 Set down one of Covent Garden’s sidestreets, Thai Square Spa is a haven of compact calm amid the West End hubbub. On my recent visit, I was firstly treated to two friendly faces and handed a short form to fill in by the Thai reception staff, before being encouraged to settle onto one of the traditional wooden seats, opposite a slightly tense looking couple (couples treatment first-timers, perhaps?). Next, I was flourished with some special herbal tea which, they informed me, had been freshly infused that morning. A couple of sips later – you never have time to drink that first cup of spa tea, do you? – I was introduced to my (again, Thai) facialist (yes, that is what someone who gives facials is called), who led me to the ladies changing room and handed me a dressing gown, slippers and a locker key. Thankfully, Thai Spa Square is not one of those places where you must change into disposable underwear for a facial – a procedure I never quite understand. Once on my back on the massage table in the cosy, comfortably heated treatment room (not too cold, not too hot – keeping this Goldilocks happy), listening to the hushed, not-overly-plinky-plonky background music, my facialist got to work with my requested Seven Pollen Facial. Over the course of the next hour, she applied dozens of lotions and scrubs to my skin – all of them pleasant in odour and sans any skin-stinging side-effects. The products incorporated (you guessed it) seven different pollens as part of a secret recipe, famously used by the Thai royal family in order to keep skin balanced, relaxed and boasting a healthy glow, via a process of ‘cleansing, balancing, repairing, moisturising and awakening the skin’. I don’t think my skin has ever done so much in its life, let alone an hour. 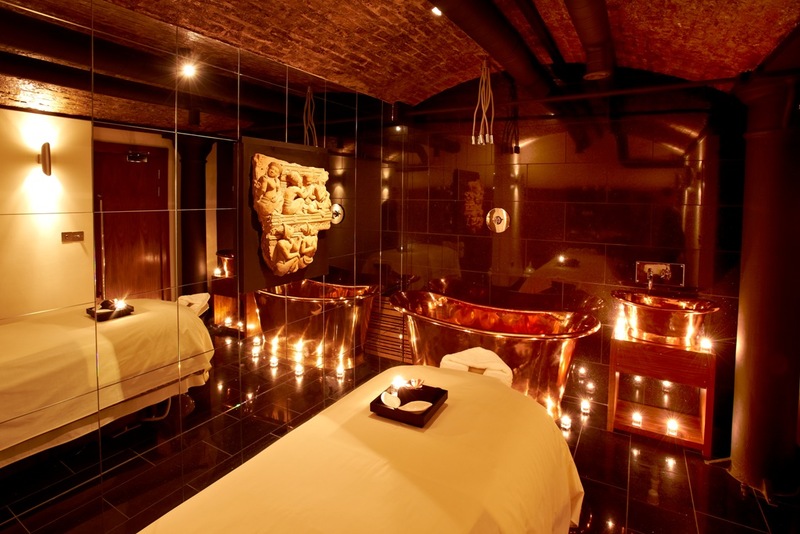 And this facial wasn’t even just a ‘facial’ – it was a massage too. At least the last 15 minutes of the treatment (it’s hard to keep track of time when you’re in a dark room with your eyes closed and you’re almost deliriously relaxed) included a thorough head, neck, shoulder and arm massage, all to help encourage overall radiance. Once I had my clothes back on, I repaired to the softly-lit unisex relaxation room for a full cup of that sweet herbal tea and a leisurely flick through the spa’s stock of magazines (stylish consumer titles including Dazed & Confused, Conde Nast Traveller and House & Garden – FYI). A quick farewell wave later – thankfully accompanied by no product hard-sell from staff, despite the display shelves upstairs – and I was back out on Covent Garden’s cobbled streets, markedly unwound, to the point where I wasn’t even overly worried about my lack of make-up. Whether passersby were, I don’t know. Or care. The all-important question: did the facial make any actual difference to my face? Over the next few days, at least four people commented that my skin ‘looked good’. One even said it looked ‘all glowy’. And these aren’t the sort of people to give a compliment for no reason. So, it seems those shimmering, wrinkle-free Thai Royals – and, perhaps, bees – are on to something. 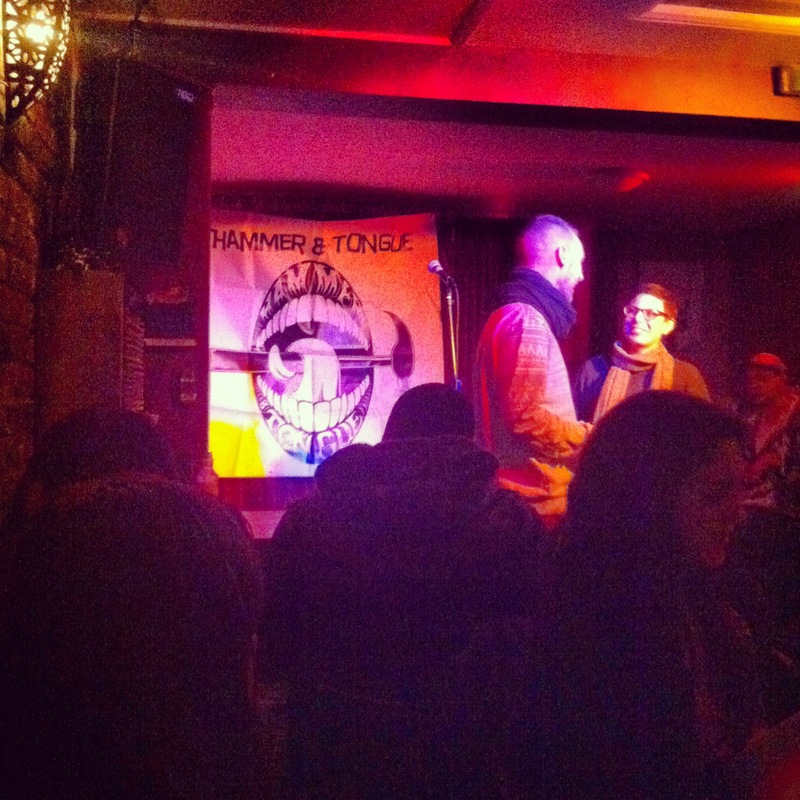 Last night I went to see my first dose of live poetry in London at slam tour Hammer & Tongue‘s Camden leg, encouraged by host Michelle Madsen (who, did I mention, has a new book out?). As daunting as this Monday night jaunt may sound, the standard was impressively (and, I’ll be honest, unexpectedly) high – especially for those who had never ‘slammed’ before. Particular highlights were BBC Radio 4 Slam Champion Ben Mellor‘s piece about smashing up his late father’s old piano (surprisingly tear-jerking) and manic Chris Parkinson’s poem about the rise of the Grammar Nazis (“They started with the grocers”, a fabulous first line). Mutton-chopped Parkinson is also the man behind a certain Gumtree ad hunting for flatmates willing to dress up and impersonate a walrus for two hours a day in exchange for free rent – now the inspiration behind Kevin Smith’s next Hollywood film, out this ‘fall’. And then there was the slam-dunking winner of the night’s new poet contest, whose name I don’t remember yet but will (she’s the lady in the image below – with the specs), and her romantic rhyme about lovers ‘S’ and ‘T’ who scratched their names onto Bournemouth pier, and without whom ‘R’ would never reach ‘U’. No faux rap-star accent or hand gestures, no glib subject matter; just a compulsive little story, hinting at the sort of pillow talk everyone can tap into. It almost inspired me to write some rhymes myself.